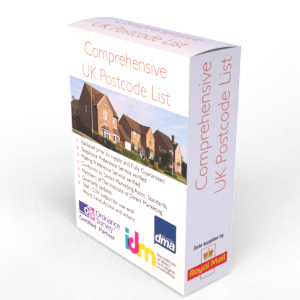 The definitive approved dealer list; every car manufacturer's approved dealer in the UK! Our approved dealer file is maintained in-house with the cooperation of the UK car dealer network and manufacturing industry. The approved dealer list consists of just car manufacturer approved networks, authorised to carry our service and repair on specific makes and models of vehicle. The list of approved dealers is updated daily. The list is ideal for marketing purposes and is reliable, consistent and comprehensive! The approved dealer list is updated from primary sources daily but released to existing customers every 6 months. This means that any specific record within the file could be anything from 1 day to six months old. If you require a more frequent supply of the file then this can be arranged for a bespoke fee. All of the records we supply will have been telephone verified prior to release. This ensures the information is current and that the approved dealer / dealership or garage is trading. The approved dealer mailing address and record will have been verified prior to release. The address will also have been checked against the Royal Mail's very latest Postal Address File. Only approved dealers are included on the approved dealer file! By approved we mean that a car manufacturer has awarded a "manufacturer approved" status to the dealership who is know able to carry out service and or repair of the manufacturers vehicles. Records on the file may appear duplicated but this is not the case as car dealer service centres and the show rooms often appear as separate records within the approved dealer file. Each approved dealer will be released on a single file as a CSV (Comma Separated Variable) which opens in Excel, Word and a host of other software applications including almost every database application. If you need a specific format please ask for it during the order process and we will be happy to accommodate you.